A breakfast forum last Thursday on the subject of homelessness included Rob Hutsel, executive director of the San Diego River Park Foundation. Hutsel, who’s headed the nonprofit for eight years, has become an unlikely expert on the people who call the river banks home: The organization’s twice-monthly trash pick-ups and bi-annual “river blitz” clean-ups have somewhat become field studies of the living conditions of river-bank dwellers. “When we first started, there really was an area [where] people were told, ‘Just go down to the river and get out of here,'” Hutsel said in a phone interview. Mixed in with what he refers to as “legacy trash”-old, abandoned cars and other large items-were homeless encampments. The area had been left alone for so long that its inhabitants had formed a makeshift community, Hutsel said; they even had their own mayor. “On one side of the river, it was the tweakers, and then on the other side it was the non-tweakers,” he recalled. Props to the people for using some ingenuity in setting up these encampments. I’ll bet this would make for a fascinating social study on the workings of this underground community right under our noses. But I guess my buddy (who lives here now) was unfortunate enough to live on the tweeker side of the river at his old place in Mission Valley – his car got broken into twice before the thieves decided enough was enough and just stole the whole thing the third go-round. It looks to me like there is enough demand to fill a legitimate campground if the city would only build one…or two campgrounds. And I mean tent camping, not something that just caters to large RV’s. 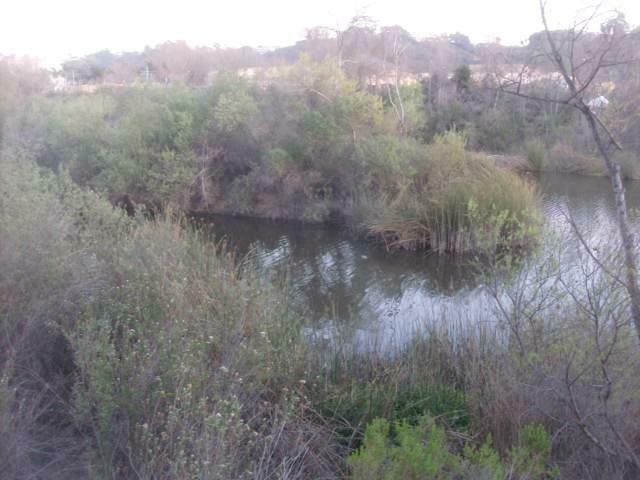 Larry – the logistical and ecological problems with having homeless campgrounds along the San Diego River are enormous – but wait! there already are homeless campgrounds along the river. They’re just not official. Should the city make them official? meh! But what about Fiesta Island, Larry? The City wanted thousands of demonstrators to camp out on Fiesta Island in 1972 when the GOP Convention was coming to San Diego. I say, what’s good for demonstrators is good for the homeless. Plus, people could have them walk or run their dogs – lots of opportunities there.